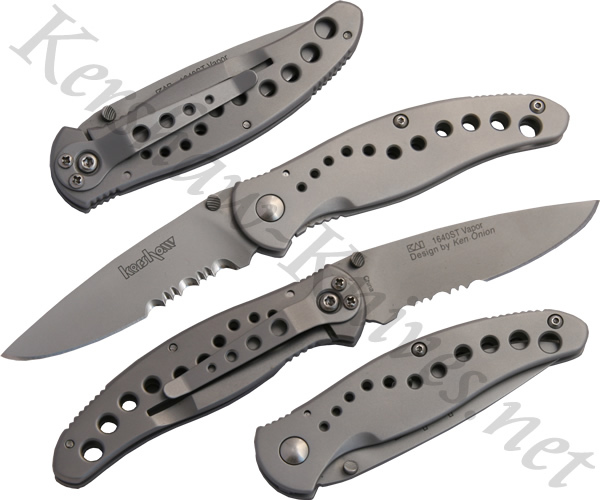 This model 1640ST is the serrated version of the Kershaw Vapor. It has an AUS6A partially serrated stainless steel blade, and a 410 stainless steel handle. The blade has been sharpened to shaving sharp and is easy to open thanks to the comfortable contoured grip thumbstuds. The handle has been drilled to lighten the knife and give it an airy look and feel.